No, if you settle with an uninsured or underinsured driver, you would likely be unable to pursue a claim against an insurance company. How Does Settling Affect My Chances At Recovery? What Should I Do Prior To Settling With The Other Driver? 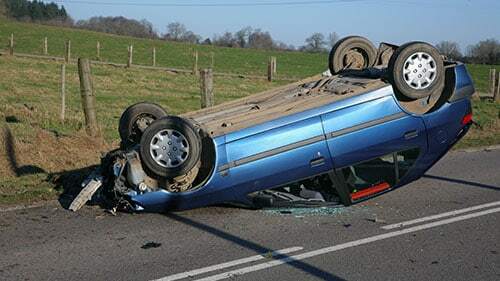 Want To Know More About Your Uninsured Motorist Claim? Unfortunately, if you settle with an uninsured or underinsured driver this would likely preclude you from pursuing a claim against an insurance company. Often times the language of the settlement with that driver precludes you from going after any other recovery related to that incident. However, it largely depends on the actual language of your release, policy, or agreement. A skilled and careful attorney could set up a settlement with the other driver without foreclosing alternative recovery. Before settling your claim with an uninsured or underinsured driver, you should do a few things. Of course, you should do all of these things in coordination with your lawyer. First, conduct an exhaustive medical examination. This should ensure that you know exactly the toll of the incident on your health. Second, with your employer, calculate total loss of income due to the event. Similarly, take some time to carefully review all of the expenses that the accident created. Finally, measure any intangible side effects that the affair created. Doing these things will guarantee that you accurately value the measure of the loss that the crash caused you. It will negate the need to bring another claim or lawsuit. Also, completing this process with an experienced attorney will make it even more worthwhile. Rosenfeld Injury Lawyers LLC can help you figure out who you can and should bring a claim against after a motor vehicle accident. We can also help you in court on contingency which means we won't charge you if we're unsuccessful. To learn more about what your recovery could look like after an accident with an uninsured or underinsured driver, call the Rosenfeld Injury Lawyers LLC today.